2013 marked the 150th anniversary of the abolition of slavery in the former Dutch colony of Suriname. 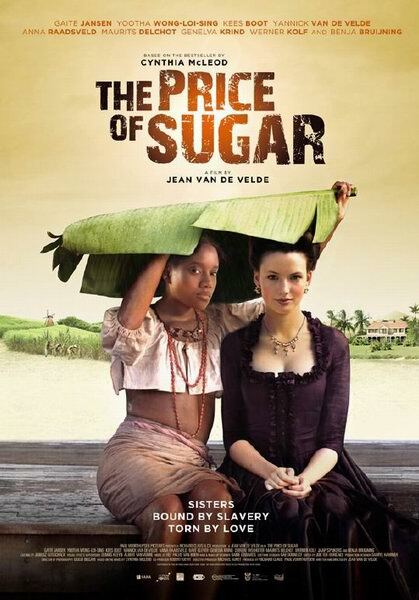 Jean van de Velde’s 18th Century Suriname drama The Price of Sugar tells the compelling story of two young women in eighteenth-century Suriname, the white Sarith and her half-sister slave Mini Mini. As beautiful Sarith goes through affairs and marriage Mini-mini only has one goal, to support her Mistress and her son Jethro. But when the maroon rebellion reaches the plantation where they live, Mini-mini has to choose between her people and her loyalty to this dysfunctional family.